Early risers can start the day with us with a cup of smooth Clifton coffee or choose from a selection of our specialised fruit teas. Kick start your day and fuel up on our locally sourced breakfasts or choose one of our freshly made pastries. Meet up with friends and colleagues for lunch and choose from our salads,wraps and pizzas. All with their own unique Brewstone twist. Local businesses and students can make the most of the free wifi, the calm quiet setting and the relaxed vibe to really get the most out their day. Our warm, relaxing ambiance creates a perfectly romantic setting for couples, friends and families to enjoy an evening with the Brewstone family. Try the carefully selected range of wood fire oven roasted mains or share a selection of the anti-pasti’s complimented by one of our carefully crafted cocktails or craft beers, just ask for the perfect match up from one of our staff members. Your staff were unbelievably helpful! From having to change our table from 4 to 6 people and then having to ring up twice on the nigh to change the time of the booking due to friends being extremely late, your staff were polite and patient with us. Everything about our Brewstone experience was fantastic. I have been promising my wife a trip for weeks,  raving about how good it is. You did not fail to deliver, in fact you excelled expectations. We celebrated our Sons 21st Birthday at Brewstone hiring level 6. The staff were friendly and helpful, the room was fantastic and all our family and friends had an amazing time! Thankyou Brewstone, we'll 100% be back!!! Had a lovely evening.l  Staff very friendly. We were a table of 12, booking was so easy and everything with our ore order was correct! So helpful when I kept adding people to our table! Went for breakfast on sat 15th. Booked for 11am. Ordered by 11.15am but food didn't arrive until 12.30pm. For some reason only had one guy serving so everything took ages. Was a grandslam Saturday so should have had more staff on. Terrible food. Bland Pizza with virtually zero topping. It's basically £11 for bread. Patatas Bravas are not actually Patatas Bravas, just boiled potatoes in a overly Garlic tomato sauce. Definitely wouldn't recommend. Our waitress was friendly and welcoming. The food and drink was lovely. We had such a good time and service was brilliant! Defo would use Brewstone for a girls day out again! We had a fabulous time. Our waitress Polly was a dream! Lovely food and service. Highly recommended! It was an extremely disappointing meal for our daughter's birthday. We're waited 75 minutes before receiving starters and my gluten and dairy free pizza looked like a Tesco pizza added to by a 5 year old keen on vegan cheese. We will never eat here again. We had a Great Breakfast...Many Thanks!!! We had such a lovely time. Such a nice atmosphere. Food was delicious. Was served dessert whilst still eating the main course. Booking for afternoon tea was incorrect- booked for 4 only 2 Available initially. The food then took over an hour to arrive. I had to ask to be served drinks after waiting for too long. Some of the cakes did not taste very nice at all and I question whether they were fresh or had been defrosted quickly because of the above mistake. One of the people who had the afternoon tea was sick in the evening and the following day. The welcome wasn’t the best when i arrived. Even though i said i had booked a table I wasn’t asked for my name or how many were booked in. The menu selection was good, but it was different to the menus i had seen earlier that day online, so I had to spend a little longer choosing something, having already made up my mind from what I had seen online. The food was delivered promptly and was delicious. 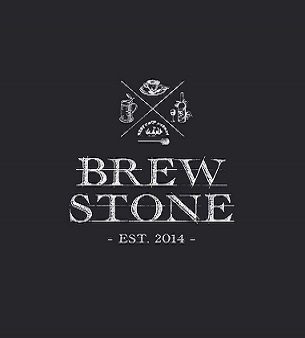 Booked the Brewstone for a birthday get together for 17 friends. Emailed/messaged twice to book without any response, had to telephone in the end to book. Few days before I tried to call to pay our deposit of £80, male who answered the phone didn’t know how to do it and suggested I try online?! Then suggested I phoned back and opted for the ‘Head Office’ selection, tried this....there was no head office option! So had to email again! Received a telephone call from ‘Tino’ who was helpful and friendly. Emailed our pre-order through and paid the deposit. 7pm the night before we were due to arrive I emailed to cancel food for two people. On arrival no record of my cancellation and quite abruptly told by the female member of waiting staff that our food has already been made before we arrived and therefore we had to have what we ordered, they haven’t seen the email as they don’t get access of the system! Agreed that they wouldn’t sent out one of the Spanish platters as it was cold so could be cancelled, however we would have to pay for the wrap and wedges. Despite this the cancelled platter was still sent out! Nine portions of wedges, most were burnt and some charcoal black! I’m amazing they were even allowed to leave the kitchen to be served to anyone. The Middle Eastern salad which was preordered was wrong and an Asian salad with pork set out! Helpful member of staff on the till who sorted out taking off the two meals we had cancelled. All in all a disappointing experience, we were a group of 15 and would have stayed for hours having drinks, but after the issues we just wanted to leave as soon as we’d eaten.